Mr. Swindells has served as a member of the Board since September 2005. Mr. Swindells is currently engaged as an advisor to Bessemer Trust, an independent provider of investment management and wealth planning to families and individuals. 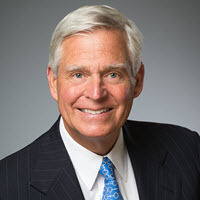 Mr. Swindells served as the Vice Chairman, Western Region of U.S. Trust, Bank of America, Private Wealth Management from August 2005 to January 2009. Mr. Swindells served as United States Ambassador to New Zealand and Samoa from 2001 to 2005. Before becoming Ambassador, Mr. Swindells was Vice Chairman of US Trust Company, N.A. ; Chairman and Chief Executive Officer of Capital Trust Management Corporation; and Managing Director/Founder of Capital Trust Company. He also served as Chairman of World Wide Value Fund, a closed-end investment company listed on the NYSE. Mr. Swindells was one of five members on the Oregon Investment Council overseeing the $20 billion Public Employee Retirement Fund Investment Portfolio and was a member of numerous non-profit boards of trustees, including serving as Chairman of the Board for Lewis & Clark College in Portland, Oregon. Mr. Swindells serves as a Director of Swift Energy Company, a NYSE listed oil and natural gas company. Mr. Swindells brings financial and global business expertise to the Board.